Made his debut for AAA in 2006 as Mini Dizzy and began appearing on televised events in 2007. It really didn't make sense to have a mini version of a wrestler not on the roster so he was given the name Atomic Boy before competing in the tournament for the AAA World Minis Championship. 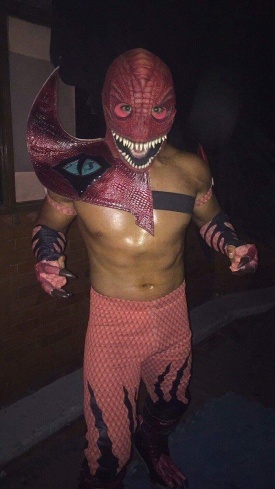 Seemed just used as an extra body for the tournament as he hadn't made TV since and his appearances seem to be limited to AAA shows in very small towns. Brought back to TV in June 2009 as a tecnico in the regular size division. Usually stuck in openers or off TV entirely. After a long absence, he made his return to AAA television in 2011. This page was last edited on 26 December 2017, at 15:27.